Mondo’s grants and loans programme continues to change the lives of HIV positive women in Northern Tanzania by giving them the chance to set up and run their own small businesses. Initially, the women receive a two day training course and a grant to help them buy the equipment necessary to get started. They are then supported on a weekly basis by Mondo staff to ensure that their enterprise is successful. One year on, they can access a low interest loan to help expand their business. In August 2016, 21 new grants and 17 loans were given out in the districts of Ngaramtoni and Pasua. Last week, our Monitoring Advisor, Rosemary, visited some of the ladies who had received grants and loans to see how they were getting on. We go down a narrow alley to the rear of some shops and into an even narrower alley half of which has been carefully made into a chicken house with a new locking door – security is an issue here. We meet Mary as she chases out the last of the chickens from the house to the tray of chicken feed : she is giving her chickens medicine today to protect them from disease. The new hens, three months old now, are growing bigger and she is hoping that they will start to lay eggs soon. As we watch the chickens settle to the food she tells us that she is thinking of selling two of her young cockerels in order to buy an older one. Keeping chickens for both meat and eggs should give Mary extra money to provide for her family. 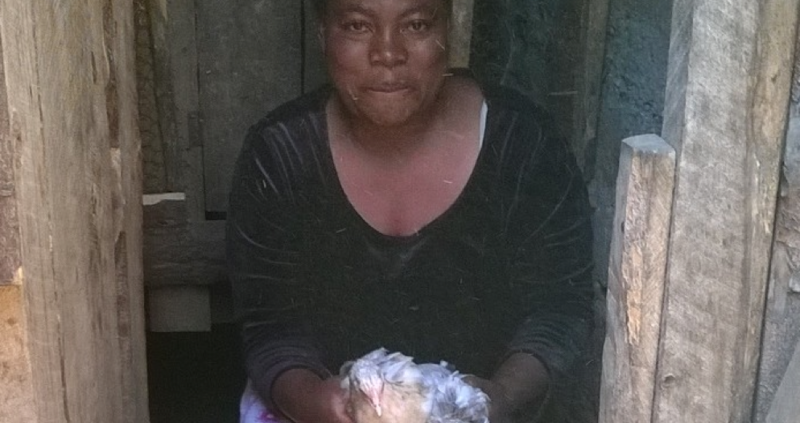 Mary has put the 200,000/- she received from the Mondo grant towards building the chicken house and buying chickens, and any money she makes from selling vegetables goes into the chicken business also. This is after she has paid rent on her home (one divided room), 25,000/- per month, provided food for the family and paid for all the children’s needs. January is a very difficult month in Tanzania as the school year starts and while schooling is now free, there are plenty of additional costs to cover, uniforms, books, stationery etc. Mary also sells vegetables in the local market – she works long days, seven days a week, but she is determined to do her utmost to provide for her children and give them the best education she can.